Storytime appeal: Imogen (how cute is that name?) is spending the day with her Aunt Sara and decides rather than play pretend she would rather just be herself. This book has huge, beautiful illustrations and I was particularly pleased that it featured the relationship between a niece and aunt. I am an aunt myself and can’t wait to share this book with my little niece. Possible themes: I recently put this in a book bundle about individuality and think it would be great for a storytime along the same theme. Storytime appeal: True story: I attempted to run away as a child and my mother responded by packing my bag and carrying it to the front door for me. I think we all have a story like this from our childhoods and this book brings that story to life. Itsy Mitsy has had enough of bedtime and decides to run away. This absolutely adorable book has everything like in a storytime book: fantastic illustrations, repetition, and a very sweet story. Oh look who’s back! It’s me! I know it’s been a while since I have been updating. I promise I have very good intentions, it just doesn’t always work out that well. Anyway, summer storytime soon there will be some more of those popping up and I really hope do some more of these storytime contender posts. Storytime appeal: This is a nice, quick story about a boy who can find the bright side of every bad situation. I really think it could work in storytime because of its clear, distinct text and easy to follow layout. I like having a few short books in my storytime stack because they are great fillers and a good way to recapture a group’s attention. Possible themes: This would be good for a rainy day theme, or even one about emotions. Possible themes: This is a great choice for a sick theme. I also think it would be a lot of fun in an imagination/pretending storytime. Storytime starts again next week! In preparation, I have been looking through lots of picture books to get some inspiration. We just got in a lot of new books and some of theme are so great, I have to share! Storytime appeal: This is a great story about a boy and his penguin friend. I picked it up because of the penguin on the cover- I really like penguins in picture books. I think there need to be more! The penguin decides he wants to fly and the rest of the book is about this mission. I think it’s a great story with great illustrations that would be lots of fun to read aloud. Possible themes: Penguins for very obvious reasons. It’s also a great book about friendship so this would work in a friendship theme as well. Storytime appeal: Some books are just made for storytime. The message of this book is simple, there are lots of dots! I have found myself on more than one occasion having conversations with preschoolers about issues such as dots. This book’s eye-catching colors rhyming text make it a joy to read aloud. This is just one of those books that is perfect for sharing! Additionally, I can also think of tons of craft ideas off the top of my head. That is really appealing because thinking of great crafts is not my strong suit. Possible themes: This is a very colorful book so I could see using it with a color theme. I also think it could work with shapes as well. Storytime appeal: I will be honest, I really love Kevin Henkes’ books. I think every librarian has a list of authors whose work they always look forward to and he is definitely on my list. I have never been disappointed in anything he’s ever made and his Caldecott winner, Kitten’s First Full Moon, is one of my favorite Caldecott winners- ever. His illustrations are beautiful and they always work well in storytime. There is something so calming and nice about his writing that always adds something special. Possible themes: Rabbits are an obvious choice. The colors of this book just look so much like spring I think it would be perfect in a spring theme. First, I apologize for not posting last week. It was Christmas and I was off. That’s really no excuse because you can set blogs to automatically publish at a later date, so I do apologize. It’s time for more Storytime Contenders. These are books I think would be fun to read in a storytime, I just haven’t found the right one yet. Storytime appeal: This book’s premise is super similar to I Know An Old Lady Who Swallowed A Fly (or whatever else she swallowed). The main difference is (spoiler!) nobody dies at the end. There are so many things I like about this book for storytime. First, the rhyming text is perfect. IT’s fun to read aloud and that’s important, don’t you think? There is a lot of repetition of the word JUMP! throughout and I can see kids really connecting with that and reading it along with the librarian. Also, the illustrations are fun and silly. There is even one spread that turns the book on it’s side. I love that, it’s like a super special surprise. Possible themes: It does have a frog on the cover, so maybe frogs. Otherwise, it could be used for a silly storytime or a rhyming storytime. That might be fun… only read books that rhyme. Storytime appeal: I will be honest from the get go- I did not discover this book on my own. A friend of mine from library school reviewed it on Goodreads and I felt very compelled to check it out. She’s right, it’s awesome! This is a trickster tale and it is all sorts of silly. An added bonus is that it’s a folktale. I never think of folktales for storytime even though that section has some of the best illustrations and stories. Thank you, Amanda, for reminding me of this great resource! 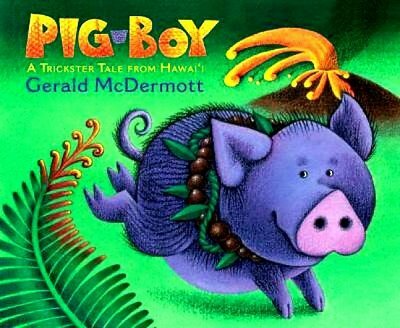 Possible themes: This would make a good addition to a pig storytime. He is purple after all! I also think it might be neat to go whole hog (ha!) and try to do a trickster storytime. Storytime appeal: This book was made for storytime. Tippy Toes is a sneaky, orange cat and this book follows it through its life. It has easy, quick rhythms that are lots of fun to read a loud. The illustrations done by Betsy Lewin (the illustrator of Click Clack Moo) are big and bold with bright, vivid colors. The best part is the cut-out pages that reveal where Tippy Toes loves to hide. This alone makes it a great choice for storytime. It will definitely pull in a group’s attention. Storytime appeal: This is the second book about Lola, a little girl who loves libraries. In this book, Lola visits the library with her Daddy easy Saturday and then spends the rest of the week reading the books and using her imagination to have lots of fun and adventures. 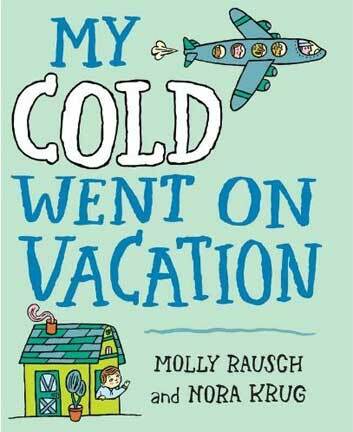 This book would work well for kids Lola’s age- preschoolers. Possible themes: Books and or/libraries (what librarian doesn’t like doing a library themed storytime?!) I think you could also use this with a more abstract theme like imagination. At my library, we have a huge break between the end of the fall storytime session and the start of the winter storytime session. Right now, I have about six weeks until the start of the next session. That’s a long time! I know this may seem a bit extreme but the reasoning is all based on numbers. We don’t get a lot of participation after Thanksgiving most people have other things going on. We do offer other programming and events but just not storytimes. Anyway, that left me with a bit of a predicament, what to do about this blog? In the past I have just sort of disappeared and then magically reappeared when storytime starts up again. As a blog reader, this sort of thing really irks me. I tend to lose interest and forget about the blog so, I decided to *really try* not to do that this time. It is sort of working. The question became, what should I fill this space up with? I don’t really want to review books. It’s just not my thing. There are lots of fantastic review blogs out there and I don’t think that Awesome Storytime could ever really be one of them. But, I do really want to still share books. So, I came up with Storytime Contenders! What is a Storytime Contender? Basically, I often find myself reading picture books and thinking “this would be great for storytime!” but don’t always use them. Sometimes it’s because I don’t have a good theme for these books and sometimes I just plain forget. Maybe YOU, the invisible but very friendly readers, could find a use for them in your storytimes. For the sake of this blog, I am going to try to discuss new books, which I define as published within the last twelve months. I also really want to stay positive and will only discuss books I have considered using for storytime. Storytime appeal: Let me start by saying I adore these illustrations and I think that is why I am SO drawn to this book. They were done by hand using woodblock printing techniques and pencil. They are exactly the type of illustrations I wish in my heart of hearts I could create. (I can’t so I am really glad that Erin E. Stead has!) The story is about a zoo keeper who excels at his job and always finds away to spend time with each animal. When he gets sick one day, the animals go to see him. It’s simple and also very comforting. I can see myself using this for my 3-5 storytime. It’s a great book and maybe a bit long for younger kids. Possible themes: This is a clear choice for a zoo theme. It reminds me a lot of Sam Who Never Forgets by Eve Rice- I think it’s the relationship between the zookeeper and the elephant. I would also like to use this in a sick day theme or even a friendship theme. Storytime appeal: This is a beautiful picture book about sleepy baby animals. The illustrations are done in Fleming’s pulp printmaking technique and add a great hazy effect. Each spread focuses on a sleepy baby animal and the book finishes with a sleepy (and very cute!) baby. I would like to use this for a baby or two-year-old storytime. There isn’t a lot of text, just about two lines per page so that paired with the big, beautiful illustrations would be a nice fit for the babies. It might work with older kids, it’s quite sleepy and the yawning baby makes me want to yawn too. It could be a great way to settle a group down. Possible themes: Obviously a bedtime or sleepy theme would be great for this book. I also think maybe a storytime about baby animals or animals in general. What do you think? Have you read either of these books? What themes would you like to see these books in?